Curated by the ex-head of SBU, Nalivaychenko, the neo-Nazis — battalions “Tornado”, “Aidar”, “Donbass”, “Kiev” and “Azov” regiment hastily moved towards Kiev in connection with the resignation of their patron. Today’s resignation of Nalyvaychenko from the post of the head of SBU caught him off guard, because “the chief CIA spy in Ukraine did not believe that Poroshenko will go to the end”. Nalivaychenko, did not like this change of scenery, so his people on the ground — “Tornado” (apparently that part that is not blocked in the Lugansk region), battalions “Aidar”, “Donbass”, “Kiev” and “Azov” regiment, hastily began moving towards Kiev. This was reported by the online edition “Journalistic Truth” with reference to a source in Kiev. According to the publication, Nalivaychenko can rely on the SBU structures across the country, which is filled with last year’s appointees from the banned in Russia extremist organization “Right Sector”, the neo-Nazis from Svoboda and other radical Ukrainian organizations. “All these people have absolutely nothing to lose — because yesterday and today they were shown what awaits them. 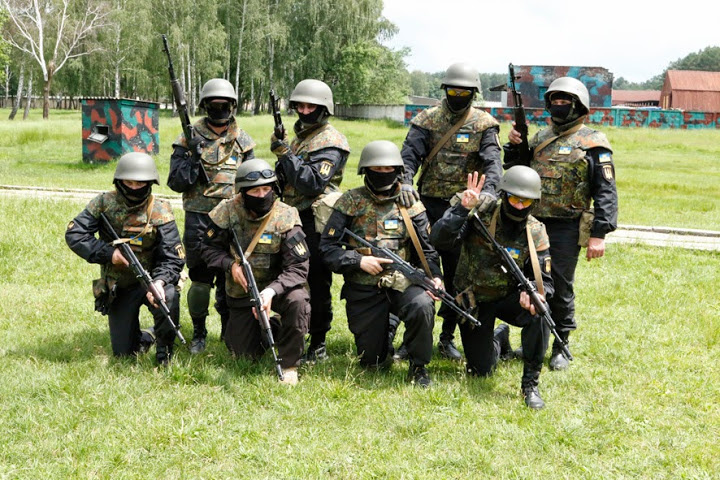 After the U.S. Congress expressed dissatisfaction with the fact of the existence in Ukraine of a large number of armed Nazis (“the abominable Azov regiment”), Poroshenko and Avakov began to make PR moves, in particular – the arrest of the leadership of “Tornado” battalion (the heroes turned out to be sadists, what a discovery), the publication of details of the murder of Oles Buzina — it also turned out that he was killed by the Nazis, and now – the resignation of the chief curator of all the Nazis in Ukraine, Nalivaychenko,” – says the author of “Journalistic truth”. According to the newspaper, a neo-Nazi coup may begin in Ukraine tonight.